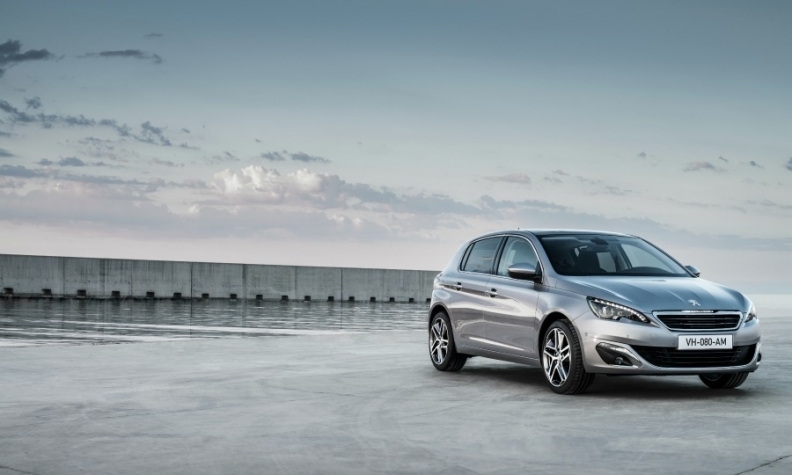 Peugeot's new 308 won Europe's Car of the Year award at the Geneva auto show this year. PARIS (Bloomberg) -- PSA/Peugeot-Citroen will increase production of the Peugeot 308 hatchback after receiving 60,000 orders for the new model since its launch in October, the automaker said in a statement today. PSA will hire 600 people, including 450 on temporary contracts, to staff a night shift at a plant in Sochaux, France, to meet high demand for the model, which last week won Europe's Car of the Year award at the Geneva auto show. The new Peugeot 308 beat six other vehicles, including BMW’s i3 electric compact, to take home the prestigious prize. PSA said the shift, which will begin on June 2, will also support output of the 308 wagon variant, which will begin sales next month. The hirings mark a possible turning point for PSA, which last year closed a factory in the Paris suburb Aulnay and has been working to eliminate 11,200 jobs in its home country. The market share of Peugeot and its sister brand Citroen in Europe narrowed to 10.9 percent last year from 11.7 percent in 2012, according to figures from the ACEA regional industry group. Last month, the group's 7 percent gain in deliveries exceeded the market's 5 percent growth. The Sochaux plant currently employs about 10,800 employees under permanent contract and 600 temporary workers, spokesman Jean-Charles Lefebvre said. The last time the site hired workers was in 2011. The plant produces the Peugeot 308, 508, and 3008 models alongside the Citroen DS5. The additional shift will increase daily production of the 308 by 180 vehicles to 1,563.